Francisco, the Peninsula, and South Bay. repair or install with our company. Cal State HVAC can offer same-day service for service requests on most days. For larger jobs and installations, we’ll schedule an appointment to accommodate your busy schedule. No job is too large or too small for Cal State HVAC. From replacing a water heater pilot light to designing and implementing HVAC systems for business offices, we can handle it all. We stand behind our work. Each repair is covered by a comprehensive one-year labor warranty. New HVAC equipment is covered by manufacturer warranties, typically 5 – 10 years. We are a family-owned local business based in Hillsborough, CA, providing residential and commercial HVAC services in the San Francisco Bay Area. Thousands of Bay Area residents and businesses have chosen Cal State HVAC for HVAC installation, repair, and maintenance services. We specialize in residential and light commercial HVAC, from simple furnace pilot light repairs to much larger jobs involving the installation of a complete HVAC system. Our service area spans from San Francisco down to San Jose. The foundations of our company are convenience, affordability, and trust. To achieve this, we run a streamlined service, offering same-day service on most days. Our no-frills operation allows us to complete jobs affordably — typically at a cost lower than that of our competition. Our company is licensed, bonded, and insured, and our technicians undergo thorough background screening as well as comprehensive HVAC training by the owner of our company before becoming part of our team. 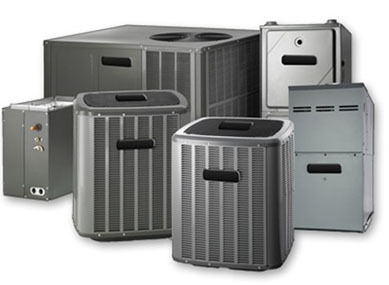 Our technicians are experienced with all major HVAC brands, including: Amana, American Standard, Arcoaire, Bryant, Burnham, Carrier, Clare, Coleman, Comfortmaker, GE, Goodman, Frigidaire, Gibson, Goodman, Heil, Janitrol, Keeprite, Kelvinator, Lennox, Luxaire, Maytag, Olsen, Nortek, Payne, Rheem, Ruud, Tempstar, Trane, Weatherking, Westinghouse, York, and more. Looking for more information before booking? Check out our Basic Info page for information about equipment / brands serviced, service area, pricing, warranty, and more.